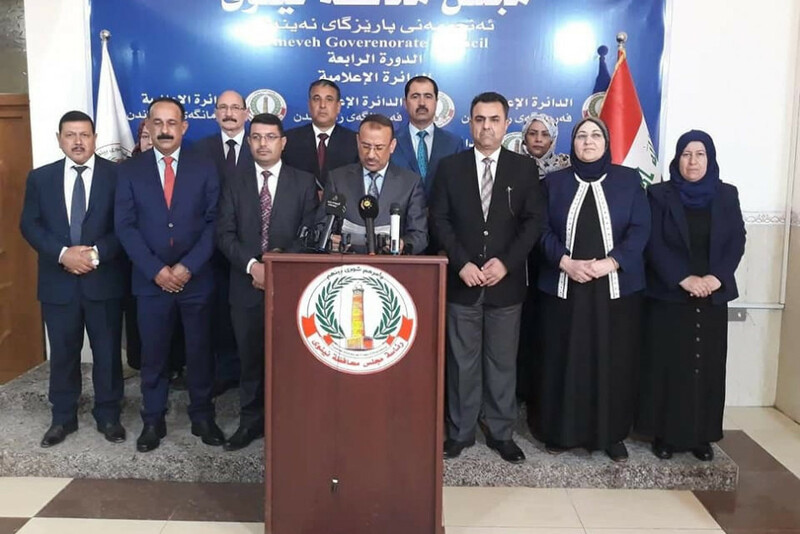 The Ninewa provincial council has officially opened candidacy for the post of Ninewa governor and deputies to replace Nawfal Agub and his two deputies who were sacked on March 24, 2019 at the request of Iraqi PM Adil Abdul-Mahdi as a repercussion of the Mosul ferry disaster which claimed the lives of dozens, mostly women and children. “Due to the vacancy of the post of governor after he was dismissed by the Iraqi parliament, and according to the provincial councils’ law, we formally announce the opening of candidacy for the position starting from today until Wednesday April 24th, 2019”, The head of the council Saido Chato said at a press conference on Sunday April 14. Chato added that the nomination “should be according to the terms verified in article (25) of the provincial councils’ law of provinces not associated in a region”, urging applicants to present their CVs during the specified period. Candidates should fulfill nine terms laid down by the law which emphasize that they should not be earlier convicted for corruption or dishonorable crimes. It is also stipulated that members of the security forces or judges are not qualified for nomination.